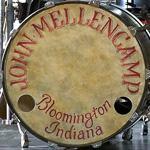 John Mellencamp Community > MELLENCAMP DISCUSSION > Tour Talk > ?? ?South Bend Set List?????????? Re: ?? ?South Bend Set List?????????? For anyone attending the upcoming shows, that is the exact set list John and the band played. The thing is, if he is promoting his CD "Other People's Stuff", why did the band and John play so many of his hits? Also did anyone receive their CD for and when purchasing tickets? I didn't! Either way, the band and John rocked the Morris Theater, South Bend! Miriam Sturm, you really play fiddle like a musician possessed! Rock on John and band! 1. Did you get an email to redeem the CDs to confirm your shipping address? 3. Have you gotten any emails that your CDs shipped? This does say a lot. Real bummer is WWW is my fave by any artist and Love And Happiness my fave song of all time, any artist. I will just enjoy the fact that JM is still writing and touring at 67. His music likely saved my life when I lost my mom in mid 90’s with nowhere to turn but his music. All that said, the first show is often an experiment on a song or two. I’ll be curious to hear if it was identical up in Milwaukee. Anyone? Also, based on set list placement, it would seem Full Catastrophe was a slow version or that haunting version again? This is the same show he’s done for the past several years. Exact same home stretch. Ugh. I agree, John's 90's music was amazing stuff. How he could think that those songs might have been lesser accomplished music, sad to read. "Key West Intermezzo, Just Another Day, Not Running Anymore, Fruit Trader, Eden is Burning", who would say this is lesser music than the 80's music? The only thing that might be said possibly is that music may never top the amazing success of the Scarecrow album. In the kickin' kick-off show in South Bend last week, John and band played a very polished revision of "Hurts So Good", awesome sounding track from an amazing show! I think it's sad that the audience could not appreciate the artistic presentation of the short info-movie! If people appreciate John's music, it's a package deal, please can they appreciate his life too? !